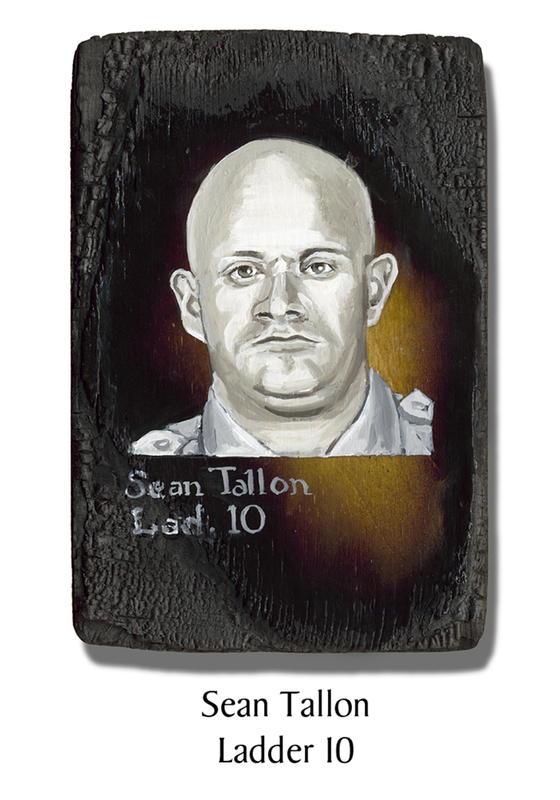 Sean Tallon of Ladder 10 was a USMC reservist and a 26-year-old probationary firefighter, just a few weeks away from the end of his training. He was ready for the next challenge of his life, which was to fall in love and marry. With red hair that gave away his Irish ancestry, Tallon was also a devout Catholic with a “sacred belief” in God, Country and the Corps. Four months after 9/11, Tallon’s Marine reserve unit was called to duty for the war in Afghanistan. This entry was posted in Better Angels Stories and tagged 343, 9/11, better angels, Dawn Siebel, FDNY, firefighter, firefighters, firefighters of 9/11, Ladder Co. 10, LODD, memorial, NFFF, paintings, Sean Tallon, World Trade Center, WTC. Bookmark the permalink.